This single malt whisky has been matured exclusively in a single first fill ex-bourbon barrel for a minimum of 12 years. 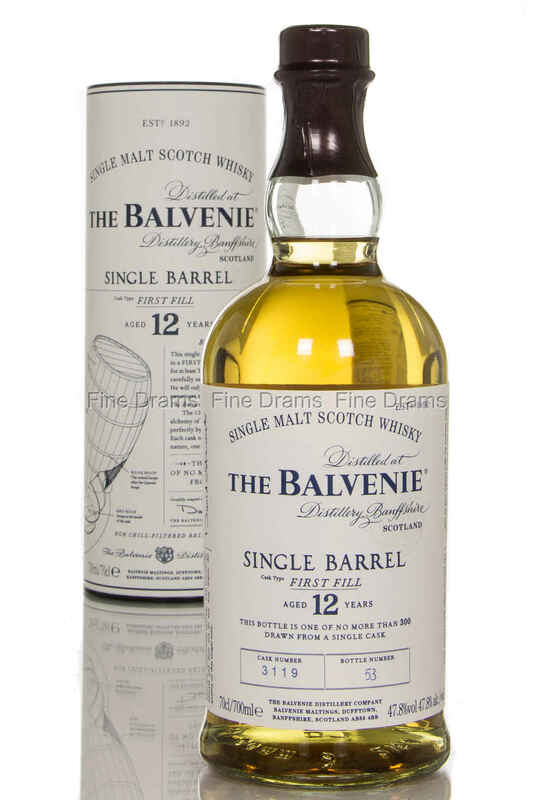 Balvenie’s Malt Master, David Stewart, carefully selected this whisky for its specific character, with just the right amount of sweetness, subtle vanilla, honey and oak. There was no more than 300 bottles drawn from this single cask #3119. It is bottled at 47.8% with no chill-filtration.